Analysis: The veteran will cede primary backup duties behind Jameis Winston to Ryan Griffin, who's yet to throw a regular-season pass in five-plus NFL campaigns. With the Buccaneers out of postseason contention, Fitzpatrick could well be relegated to the same status Week 17 as coach Dirk Koetter potentially looks to give Griffin his first taste of regular-season action in the finale versus the Falcons. 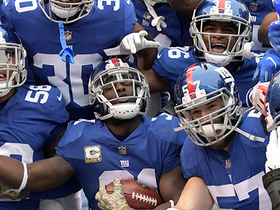 Analysis: Fitzpatrick was intercepted seven times the past three weeks, eventually getting benched in the second half of Sunday's 38-35 loss to the Giants. It won't come as any surprise if we see him again before the end of the season, as Winston has proven equally susceptible to turnovers. 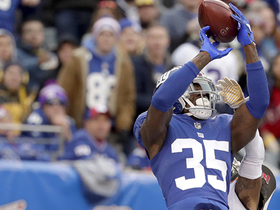 Analysis: Winston replaced Fitzpatrick during Sunday's 38-35 loss to the Giants, leading three consecutive touchdown drives to cut the deficit to three points. Koetter has gone back-and-forth throughout the season, as both quarterbacks have been prone to turnovers while also piling up yards with ease. It won't come as any surprise if Koetter turns back to the 24-year-old Winston after watching Fitzpatrick toss seven interceptions the past three weeks. Analysis: Fitzpatrick lasted just six offensive plays into the second half, opening it with a interception that was returned for a touchdown before tossing another less than five minutes later. He finished the day 13 of 21 for 167 yards, no touchdowns and three picks, while racking up four rushes for 14 yards and one TD. Winston is expected to play out the rest of the contest, barring injury. Fitzpatrick will keep the Bucs' starting quarterback job for Week 11 against the Giants, Rick Stroud of the Tampa Bay Times reports. Fitzpatrick completed 29 of 41 passes for 406 yards and two interceptions during Sunday's 16-3 loss to Washington. He added 35 yards and a fumble on the ground on eight carries. 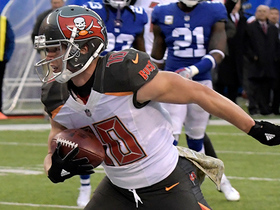 In his postgame press conference following a 42-28 loss to the Panthers on Sunday, coach Dirk Koetter confirmed that Fitzpatrick will start the Week 10 game against the Redskins, Jenna Laine of ESPN.com reports. Fitzpatrick will start Sunday's game against the Panthers, Scott Smith of the Buccaneers' official site reports. Fitzpatrick completed 11 of 15 attempts for 194 yards and two touchdowns with no interceptions in the Buccaneers' 37-34 loss to the Bengals on Sunday. He also rushed once for 18 yards. 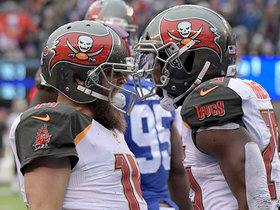 Fitzpatrick will return to a backup role when the Buccaneers return from their bye for a Week 6 game in Atlanta, Greg Auman of The Athletic reports. Analysis: Fitzpatrick owns an impressive stat line through four games, but he predictably trailed off the past two weeks with a three-pick game against the Steelers and a complete dud against the Bears. He did well to get the team to 2-2 against a tough early schedule, giving Jameis Winston a shot to keep Tampa Bay in the playoff picture. Winston will have an impressive group of pass catchers at his disposal, though O.J. Howard (knee) may not be ready for Week 6. Fitzpatrick was replaced by Jameis Winston during the third quarter of Sunday's contest at Chicago, Ian Rapoport of NFL Network reports. 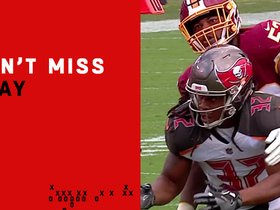 Analysis: After leading the Bucs to just three points on six possessions in the first half, Fitzpatrick was pulled by coach Dirk Koetter. It appears the Fitzmagic era may be over, especially if Winston fares well in his half of work in what turned into a blowout. Fitzpatrick is listed as the Buccaneers' starting quarterback for Sunday's game against the Bears. Fitzpatrick is expected to start Sunday's game against the Bears, but could be on a "short leash," Jay Glazer of Fox Sports said on the "Fox NFL Sunday" program. Fitzpatrick is expected to start at quarterback for the Buccaneers in Sunday's game against the Bears, according to league sources, Adam Schefter of ESPN reports. 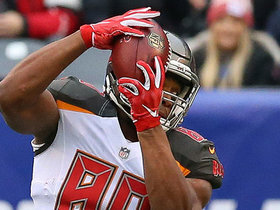 Analysis: Fitzpatrick's long-term fantasy outlook still appears murky with Jameis Winston returning from a three-game suspension Sunday, but the 35-year-old seems to have earned himself at least one more start in light of his dominant play and the fact the Buccaneers are playing on a short week. He took the majority of snaps with the first-team offense during practice leading up to Week 4 and will apparently start despite the Buccaneers having yet to make the announcement official. Fitzpatrick took most of the snaps at Wednesday's practice, Ian Rapoport of NFL Network reports. Analysis: It's yet another sign pointing to Fitzpatrick retaining the starting job while Jameis Winston makes his return from a three-game suspension. The Buccaneers haven't made an official announcement, but it could happen as soon as Wednesday evening. 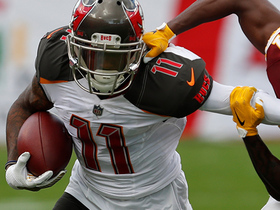 Tampa Bay draws a tough Week 4 road matchup in Chicago on Sunday. The Buccaneers haven't named a starting quarterback for Sunday's game against the Bears, but "all signs point to" Fitzpatrick retaining the gig, Ian Rapoport of NFL Network reports. Fitzpatrick completed 30 of 50 passes for 411 yards, three touchdowns and three interceptions in Monday night's 30-27 loss to the Steelers. He also rushed five times for 27 yards. Fitzpatrick completed 27 of 33 passes for 402 yards with four touchdowns and one interception in the Buccaneers' 27-21 win over the Eagles on Sunday. He also lost a yard on his sole rush. Fitzpatrick completed 21 of 28 passes for 417 yards with four touchdowns and no interceptions in the Buccaneers' 48-40 win over the Saints on Sunday. He also rushed 12 times for 36 yards and another score. Fitzpatrick completed six of seven passes for 82 yards in Friday's preseason game against the Lions. Analysis: Fitzpatrick started and played the first two drives, bouncing back strong after a rough outing last week. Assuming he's held out for the preseason finale, he'll finish the exhibition slate having completed 17 of 28 passes for 183 yards without any touchdowns or interceptions. Fitzpatrick will start his three-game stretch filling in for Jameis Winston (suspension) with a tough Week 1 matchup at New Orleans. Fitzpatrick completed five of 13 passes for 46 yards with no touchdowns or interceptions in the Buccaneers' 30-14 preseason win over the Titans on Saturday. He also rushed once for seven yards. Fitzpatrick completed six of eight passes for 55 yards and added two rushes for 11 yards in the Buccaneers' 26-24 preseason win over the Dolphins on Thursday. Fitzpatrick will start at quarterback during Thursday's preseason opener in Miami, Rick Stroud of the Tampa Bay Times reports. Fitzpatrick is getting work with the first-team offense during training camp, Scott Smith of the team's official site reports. Coach Dirk Koetter confirmed that Fitzpatrick is the Buccaneers' planned starter at quarterback for the first three games of the season while Jameis Winston serves a suspension, Scott Smith of the team's official site reports. Fitzpatrick is slated to start the first three games of the 2018 season due to the suspension of the same length received by Jameis Winston, Field Yates of ESPN reports. Analysis: Fitzpatrick has again found a way to earn starts, only this time it's the result of Winston violating the NFL's personal conduct policy. In three starts for Winston last season, Fitzpatrick completed 57.4 percent of his passes, averaged 248.3 yards per game and posted three touchdowns versus one interception. 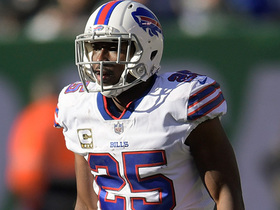 It's difficult to expect much more of the 35-year-old signal-caller, despite oodles of skill-position talent on the roster. Fitzpatrick has agreed to terms with the Buccaneers, Rick Stroud of the Tampa Bay Times reports. Fitzpatrick said Monday that he isn't considering retirement and hopes to sign with a team when he becomes a free agent in March, Nick Veronica of The Buffalo News reports. Fitzpatrick completed 96 of 163 passes (58.9 completion percentage) for 1,103 yards with seven touchdowns and three interceptions across six games in 2017. He also rushed 15 times for 78 yards. Fitzpatrick will reprise his backup role in Sunday's game against the Packers with head coach Dirk Koetter naming Jameis Winston (shoulder) the team's Week 13 starter, Rick Stroud of the Tampa Bay Times reports. Fitzpatrick completed 27 of 44 passes for 283 yards with no touchdowns or interceptions in Sunday's 34-20 loss to the Falcons. He also rushed twice for 20 yards. Fitzpatrick will make another start Week 12 in Atlanta, Jenna Laine of ESPN.com reports. 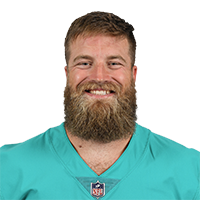 Fitzpatrick completed 22 of 37 passes for 275 yards with two touchdowns and no interceptions while also rushing three times for nine yards in Sunday's 30-20 win over the Dolphins. Fitzpatrick will start Sunday's game against the Dolphins, Rick Stroud of the Tampa Bay Times reports. Fitzpatrick completed 17 of 34 passes for 187 yards with one touchdown and one interception in Sunday's 15-10 win over the Jets. 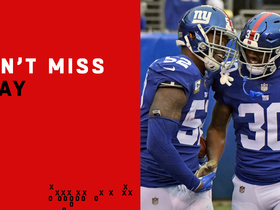 He also rushed three times for nine yards and notched a two-point conversion rush. Fitzpatrick will be the Buccaneers' starting quarterback during Jameis Winston's (shoulder) upcoming absence, Jenna Laine of ESPN.com reports. Analysis: During Sunday's loss at New Orleans, Fitzpatrick played another lengthy stretch in place of Winston, who was ruled out at halftime. An MRI revealed Winston has damage in his right throwing shoulder in addition to the sprained AC joint. With at least two weeks of rehab prescribed for Winston, Fitzpatrick will be under center from the outset of Sunday's matchup against his previous squad, the Jets. Fitzpatrick completed eight of 15 passes for 68 yards with a touchdown and no interceptions in Sunday's 30-10 loss to the Saints. He also gained 30 yards on three rushes.